Why blood is red in colour: Blood is a fluid tissue which is red in color and viscous. Blood constituents are plasma and the blood cell. One of the important questions which come to our mind is that why the color of blood is red? 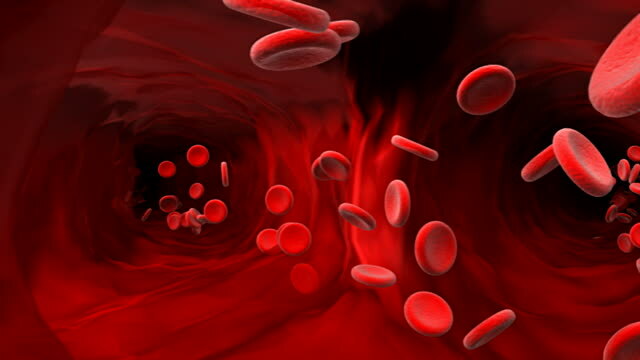 Why is your blood red because blood cells contain a special protein called hemoglobin. When hemoglobin combines with oxygen, it turns bright red. That is the color you see when you prick your finger or cut yourself and start to bleed. When hemoglobin is not combined with oxygen, it is very dark red. It looks purple or blue when you see it through your skin and through the walls of your veins. On average our body contains 5.6 L for males and 4.5 L for females, of blood but we can lose up to 1 L before it becomes life-threatening.